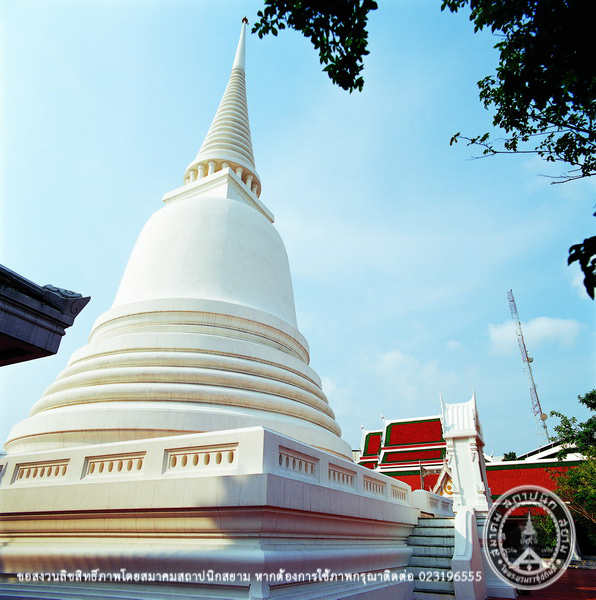 Wat Makutkasattriyaram Rachaworawihan (or Wat Makut), situated beside Khlong Phadung Krungkasem, is one of the significant Rattanakosin’s royal temples. 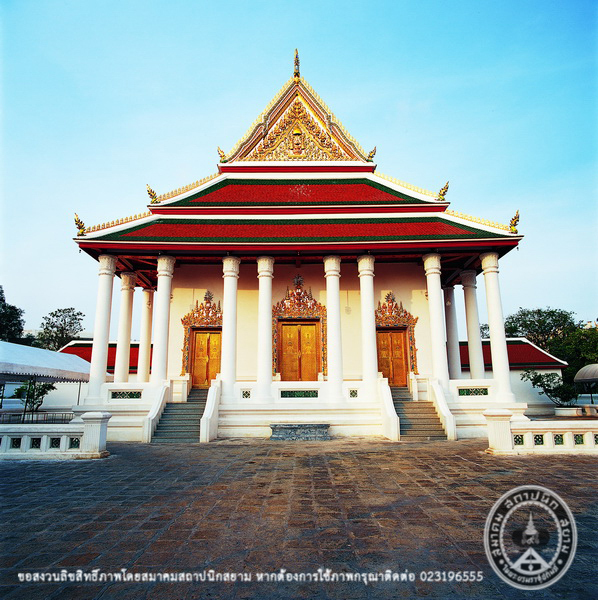 King Rama IV graciously allowed building the temple in 1868, merely 99 days before his demise. 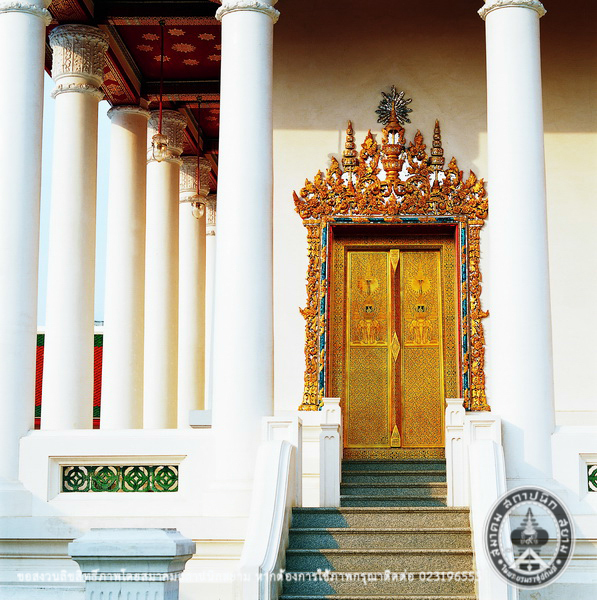 Its architecture explicitly represents the King’s personal favor and his profound understanding in Buddhism; therefore, the name of this temple has followed King Rama IV’s royal name to be coupled with Wat Sormmanutwihan, a temple commemoratively built for his wife. 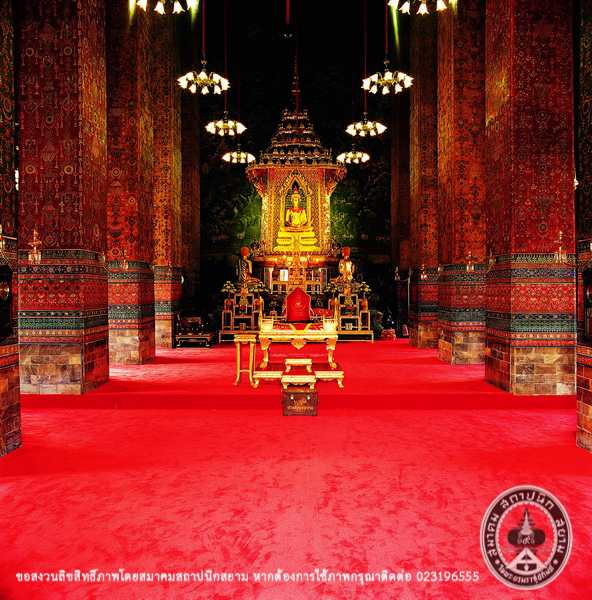 A major restoration was done in 2003 to celebrate the auspicious occasion of King Rama IV’s 200th birthday anniversary. Somdet Phra Yannasangwon Somdet Phra Sangkarat and H.R.H. Princess Maha Chakri Sirindhorn presided over the ceremony which was arrangedby the Crown Property Bureau. Moreover, the assembly hall damaged from the deterioration, humidity as well as inappropriate mending and reform in the past was renovated by preserving its ancient originality in arts and architecture while the up-to-date functionality has also been concerned.